Today, as the average age of the population increases, there are more people concerned about investing for a longer life expectancy and a retirement free of financial worry. Financial planners can act in different capacities. Some manage and invest their clients' funds directly in specific stocks and bonds; others invest such funds in well-researched mutual funds. Still others refer the client to an investment adviser. Some are paid on the basis of commissions from insurance or other investments, while others charge on a fee basis only. Investment advisers, on the other hand, generally do little or no financial planning and specialize in investing client funds in stocks, bonds, and other securities. Generally their only compensation is a commission of between 1 and 2 percent of the assets they manage. Thus, as the portfolio grows, so does the adviser's fee. Some advisory firms provide a great deal of personal attention and handholding, while others do not. Some take great care to individualize a portfolio, taking into account their clients' personal tax situations before making buy-and-sell decisions, and others buy and sell solely on the basis of maximizing their clients' investment gains. Many investors find that using a financial planner or investment adviser has its advantages: the lack of conflicts of interest between the firm and its clients, the personal attention given to clients, and the customizing of clients' portfolios based on their tax situations and financial objectives. For someone who is interested in REITs, however, the advantages are not so clear. It can be difficult to find a financial planner or investment adviser who is experienced in REIT investing, and fees will continue to be paid whether or not any trades are made in the account. Also, many financial-planning firms do not have good REIT research services available. Some of these issues should diminish over time, of course, as REITs become better understood. 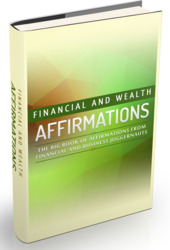 The big book of affirmations from financial and business juggernauts. 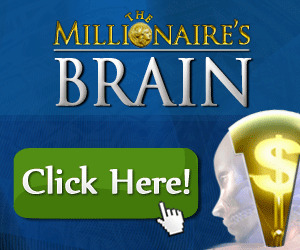 Many individuals are looking to bring in more revenue, boost their wealth, become debt-free, and financially free.